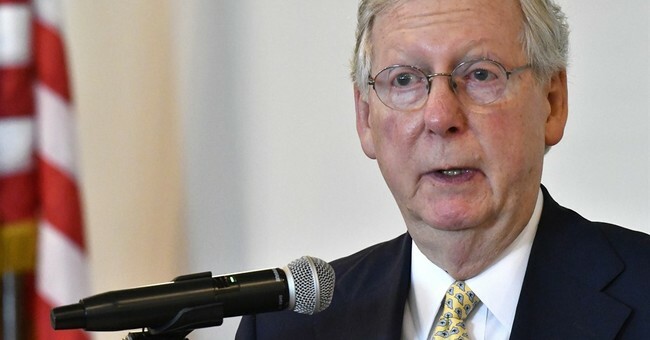 Senate Majority Leader Mitch McConnell (R-KY) announced on Tuesday that the upcoming August recess would be delayed by two weeks in order to "complete action on important legislative items." McConnell also blamed Senate Democrats for not cooperating with Republicans on confirming nominees, resulting in the start of recess being delayed. "Once the Senate completes its work on health care reform, we will turn to other important issues including the National Defense Authorization Act and the backlog of critical nominations that have been mindlessly stalled by Democrats. "In order to provide more time to complete action on important legislative items and process nominees that have been stalled by a lack of cooperation from our friends across the aisle, the Senate will delay the start of the August recess until the third week of August." Traditionally, Congress is not in session the entire month of August. This year's recess was scheduled to last from July 31st until September 4th. This revised schedule has the recess beginning on August 14th. The Associated Press is reporting that, assuming things get done and people are confirmed, the recess could in fact begin earlier than the 14th. Other members of the Senate had suggested that the August recess be scrapped entirely due to the lack of progress on a health care reform bill. It currently looks as though that's not going to happen.